Greenwings Japan is a leading importer, distributor and marketer of cut-flowers. Calimero is a signature product of Greenwings Japan / Dalat Hasfarm. It fits a wide range of uses, and continues to be chosen by flower professionals. 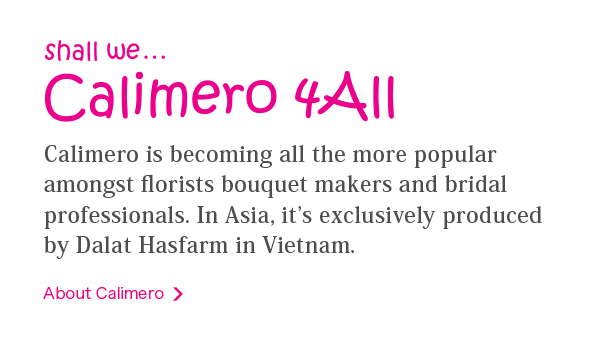 Our farm in Vietnam, is the exclusive production site for Calimero in all of Asia. 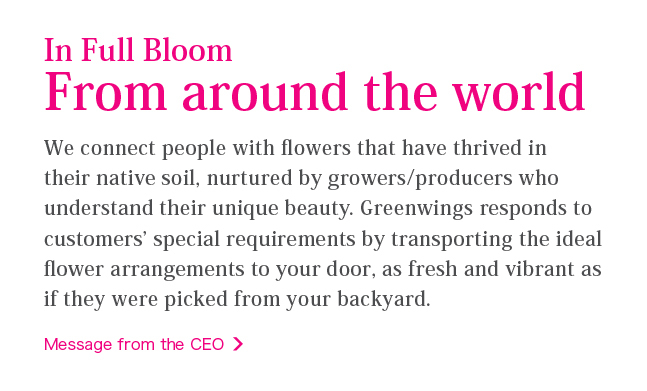 A network of flower-producing locations around the world meet the diverse needs of our clients.